And a whole slew of other issues which makes it hard to find products that we can use *safely* for cleaning our home and our bodies. 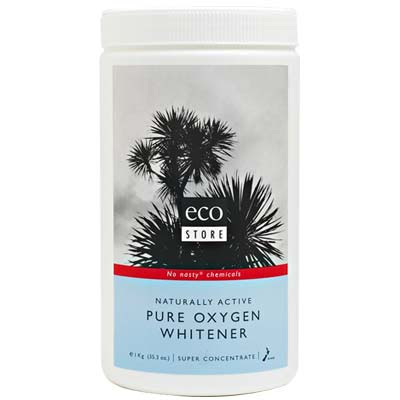 Which is why I was really excited when Ecostore USA contacted me and asked if I'd like to try a few of their products. 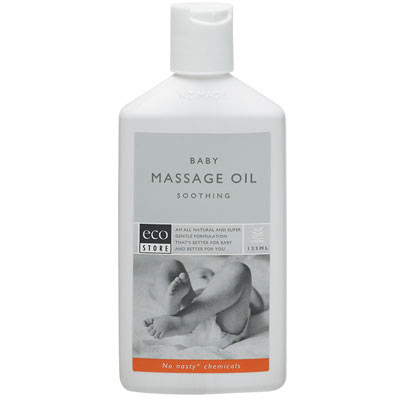 First off, I got some Baby Massage Oil. I use this for me, not for my babies. (yeah, yeah, I'm a selfish mommy. BAH) I've always used olive oil for my cuticles. Step out of the shower, work it into my nail beds, bada bing, bada boom, beautiful nails with a nice healthy pink tone. Generally, I've had problems finding an oil that's soothing, but not greasy. This does the trick. It's super light and moisturizing and it absorbs quickly. I even used it on Taylor's cheeks because she tends to get some roughness there. My only dislike was the scent. I'm an unscented kind of a person, and it smells like lavendar. 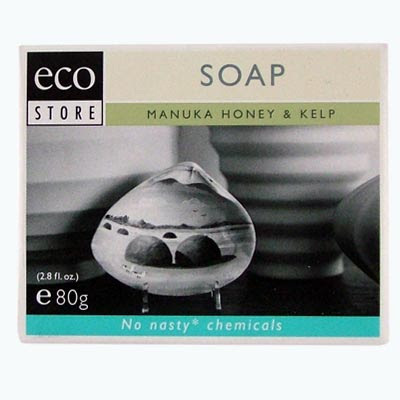 The next product I tried was the Manuka Honey & Kelp Soap. LOVE IT. Doesn't dry out my skin, has a little bit of texture. (I just read there's bran in there. That's probably what I'm talking about.) Smells heavenly. And like I said, I'm an unscented kind of gal, so I appreciated that this was such a light scent. It even added some moisture to my skin so I used less lotion after shower time. LOVE it. Finally, I got to try their Pure Oxygen Whitener. I'm telling you right now, if you have kids, you need this product. I put a scoop of this in a bucket of water, set it on top of my washing machine, and as my kids spill spaghetti sauce down the front of their clothes, I toss 'em in the bucket to soak.... for up to a week. The colors don't fade, there's virtually NO scrubbing, and I don't have to do anything. I just wish I would have had this when my kids were babies; man, the onesies I could have saved. It's super concentrated so less is more, and it actually works that way. It's not like the products that claim super concentration and then don't actually clean anything. I'm totally hooked. Now, as a special suprise for you, Ecostore is offerring one of my readers a chance a try one of their products FOR FREE. All you have to do is browse their site, tell me what product YOU want to try, and if you win, you get the product of your choosing, sent straight to your doorstep. So go, look around, and tell me what ecofriendly product you'd like to try. For an extra entry, tweet this contest, and leave a comment with the URL of the tweet. You have until March 21, 2009, 12 midnight EST. to enter.